Let’s be honest: when it comes to mentoring, we all want one, but we don’t all want to BE one. The truth is that you hold the keys to a successful mentoring partnership in your hand. You have the power to really make a difference here. Your protégé comes to the table with a laundry list of expectations about what you can do, how much you can talk about and even how you set your priorities. 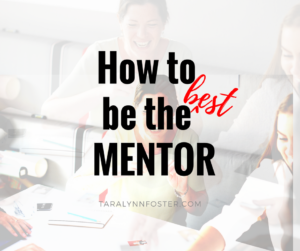 You have some expectations of the protégé and what they are going to bring to the mentoring process. Be straight and get it all out on the table first thing so you can begin on the same page. Assumptions on either side make a bad starting point. Show the protégé what commitment looks like by holding the time sacred. Do all you can to keep from postponing the meetings or canceling them. You’re not only damaging your credibility, you’re also chipping away at the trust in your mentoring relationship. Sure commiserating is handy when you’re building rapport, but show them why they need you: challenge your protégé to do more than complain. When he or she comes to you with a challenging work situation, a skill they need or a presentation they are reluctant to give, be the gentle push needed to get them over one more developmental speed bump. Being a sounding board is easy; being a catalyst to growth is harder but more valuable. You have the opportunity to affirm your protégé and when you do, with authenticity, his or her confidence grows. Turn “you were great!” into “I really liked how you used humor to kick off your presentation and get the attendees engaged.” Attention to detail in your feedback helps your protégé understand what great feedback sounds like AND reinforces positive performance for next time. General compliments and vague action steps don’t help anyone. “Hey, you’re really great at speaking. I’m sure you’ll be fine presenting at the all-hands meeting” may give your protégé the warm and fuzzies but won’t really help him or her prepare. Should they practice once or twice? Maybe you would be willing to review their outline before the live event? Now THAT would be helpful. You have a wonderful opportunity to connect your protégé with others who can help them along their way. Is there a project that needs an extra pair of hands? Maybe it’s in an area your protégé needs to learn more about. What a great opportunity for learning and potential for exposure to others in the organization! You will also want to be a connector between your protégé and others who may be more proficient at a certain skill than you OR they may have more time than you. You don’t need to be all things to your protégé so why not connect him or her to someone else and kill two birds with one stone? Your role is important. Your protégé is counting on you to help them move along the career path. When you meet, ask your protégé what they want to accomplish during your time. Ask how he or she applied the advice you gave him or her the last time you met. Expect them to set the meetings and keep the meetings they set. If you find the protégé isn’t following through on the commitment, don’t hesitate to hold him or her accountable. Constant rescheduling of meetings, missing meetings, not applying your advice or following through on your suggestions may indicate this isn’t the right time for your protégé to be in a mentoring relationship. The protégé may just have too many demands being placed on them and need to focus on the work at hand. That’s okay. Give yourselves permission to hit pause and take back some valuable time. Let the protégé know you’ll be there when they’re ready to pick up again. A great mentoring experience can’t depend on the program infrastructure or tools alone. A mentoring experience worth the investment of time depends on the contributions of the two people in the relationship: the protégé AND the mentor. Someone asked you to be a mentor because your experience and your character are valuable. Your ability to be an active, effective mentor can make all the difference. Looking for more on mentoring? Check out “Are you cheating on your mentor” and “Five Easy Steps to Find Your Mentor”. 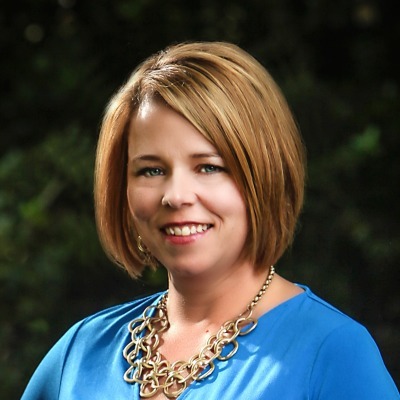 Tara Lynn is a leadership development speaker, Fascinate Certified Advisor, coach, and writer. 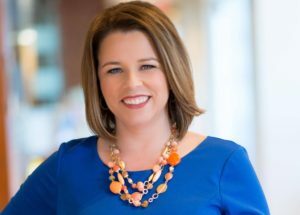 She brings polished, insightful strategies to companies and individuals, helping them clarify their unique value and rise to higher standards of success. The practical tips and tools she shares get her clients from point A to point C while solving for the mysterious point B.